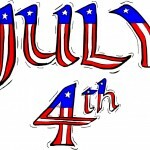 It seems that no matter what city or town you live in there is a Fourth of July party planned that includes parades, fireworks, and picnics. 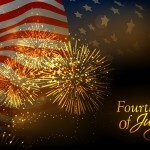 Here is some information about parades, fireworks, and picnics and how to make this year’s 4th of July party the best. 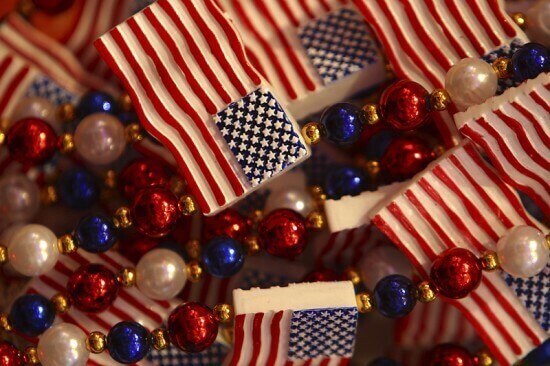 In almost every state you can find numerous cities that will put on a Fourth of July parade. If you want to watch a parade for the Fourth of July you will need to do some research to find out where the parades are at and what routes they are going to take. You can sometimes find this information on the Internet, but keep in mind that not all cities have a website so you might not find information for your area. Another way to find out about parades is to look for fliers and posters around your town to see if they have anything planned for the Fourth of July. Newspapers and the local news stations are also another great source of information for finding parades in your areas. You can also contact your local city government, police department, or fire department to see if your city or town has a parade planned. Because so many people attend Fourth of July parades you are going to want to arrive early so you can find a good spot along the parade route. If you are lucky enough to live on the streets of the parade route you still might want to mark your spot early, as you will find that many people will use your yard as a place to sit. Also if you live along the parade route you might consider securing your front yard, such as putting away all lawn furniture or putting up some string so that people won’t sit in your grass. Because of the safety factor many towns and cities are planning firework shows, rather than having people light off their own fireworks. In fact in some areas fireworks are actually banned because of the danger associated with fireworks and fires. Before you plan to buy private fireworks you should find out if your city or town allows personal fireworks. If you happen to live in an area that bans fireworks you will be better off going to a firework show that is put on by the city, besides the fact that these shows are usually very well put together and are a sight to remember. To find out about shows in your area you can look online, check your local newspapers, news stations, or your city parks and recreation department. 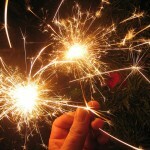 Most of the time in larger areas you will find numerous parks that have arranged to put on different firework shows. But keep in mind that when going to firework shows you are going to want to arrive early so you get a good seat. You will also want to bring your own chairs or blanket to spread out on the ground so that you won’t have to stand for the entire show. Picnics and BBQ’s are a great favorite for Fourth of July parties. You can plan on a BBQ or picnic in your backyard or you can reserve a table or two at the local park and plan your picnic there. When planning a BBQ or a picnic you need to keep in mind the variety of age groups that will be attending so that you can plan fun-filled activities. This is great for kids because then they won’t be as bored. With your picnic you can pack sandwiches and chips and drinks. But most picnics these days are actually turning into BBQ’s at the local park. And with how elaborate some of the community activities are for the Fourth of July many of them are also providing food, so you don’t have to worry about bringing your own. Whichever you decide to do, be sure to plan for a long day in the hot sun by bringing plenty to eat and drink, as well as reserving a spot early. If the park doesn’t take reservations you should get to the park as soon as it opens so you can pick the perfect spot, preferably one with lots of shade.